I have been kind of slack on updating this blog, but I'm hoping to get better! 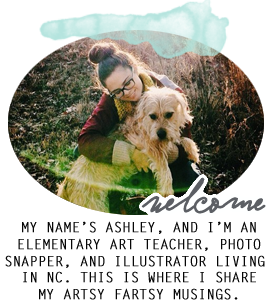 My photography blog and my classroom webpage take my attention away from here, even though this blog is my baby. 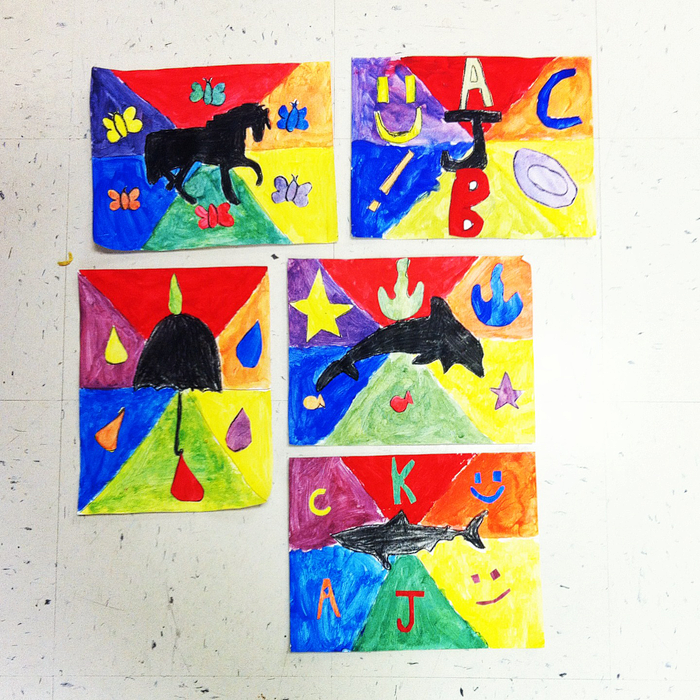 I wanted to blog about teaching elementary art units across grade levels. Last year I tried this a few times, mostly for my sanity, but also to help manage time by using similar supplies across grades. 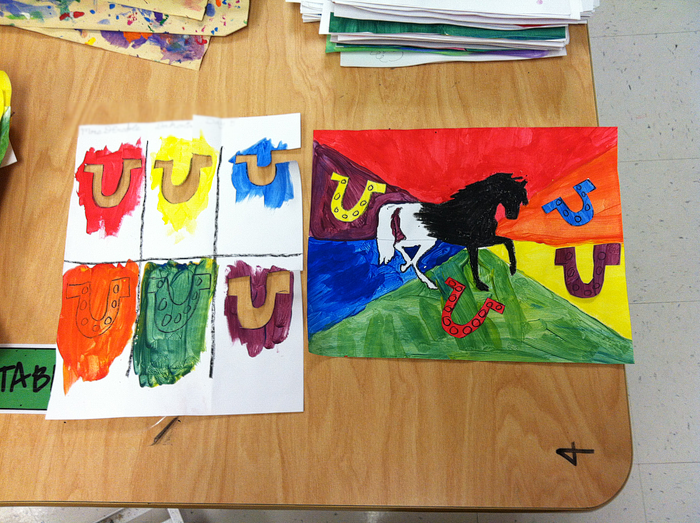 I did an ancient art unit with k-5 last year and it was really fun. It was also quick and easy to change between classes because I could leave materials out on the tables and use similar examples and videos. 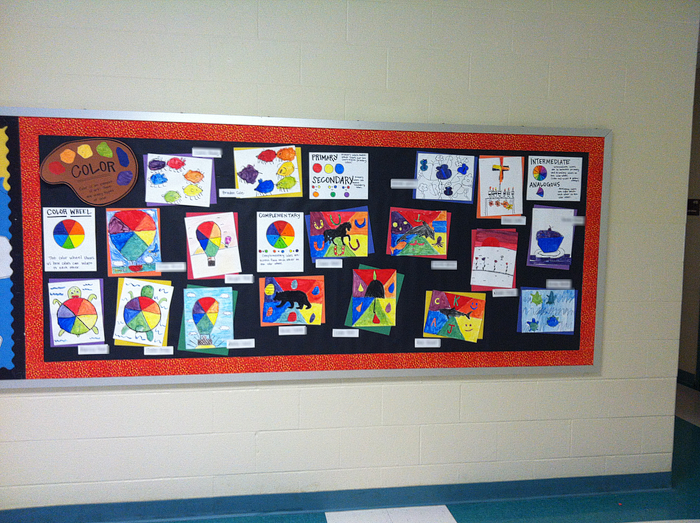 This past rotation, I did a color theory unit k-5...using paint. My drying racks were full everyday, but I think it was really successful. I had plastic containers with small condiment cups full of the primary colors inside of them for every table. I also had water cups, brushes, and towels for drying brushes [that I wash when necessary] on each table. 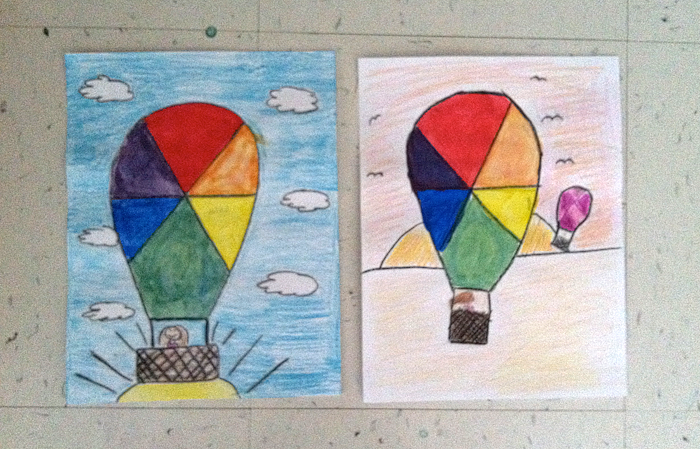 5th grade used palettes for mixing, but the other grades just mixed on their papers. These supplies [except the palettes] stayed on the tables all day. 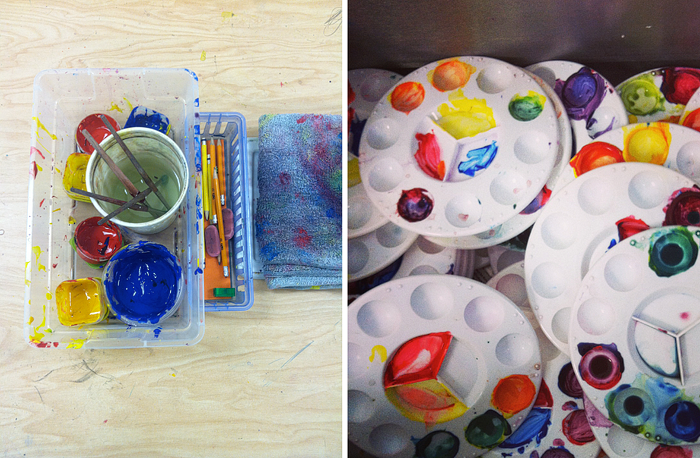 I had helpers from every table wash the cups and brushes after each class. We also had to wash the tables a lot, which made for a drippy wet floor near the sinks, but 'tis the way of the art room. 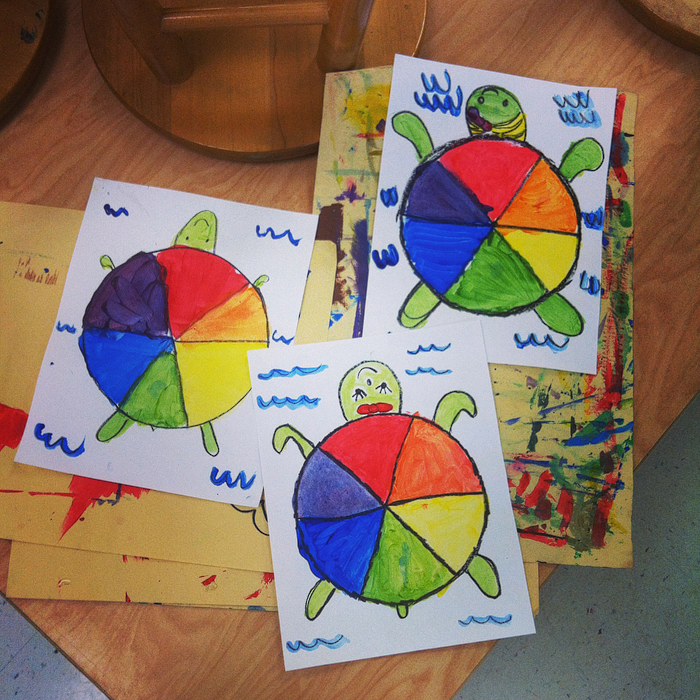 5th grade painted color wheels that included intermediate colors, and then they had to choose 4 analogous colors to create a collage with. Here are some finished collages. 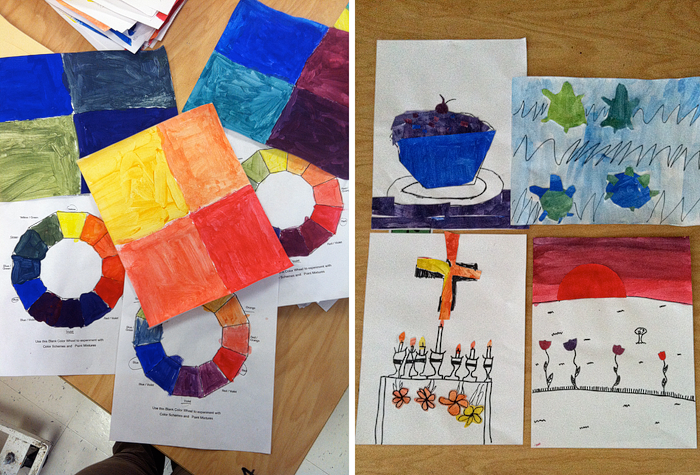 4th grade created silhouette themed color wheels and learned about complementary [opposite] colors. They had to pick one main shape for the center and create smaller shapes that went along with their theme to put on the complementary colors. 1st and 2nd grade both reviewed primary and secondary colors wheels and how color wheels help us see how colors relate to each other. We tried to concentrate on remembering secondary colors. Kindergarten learned about primary colors for the first time. 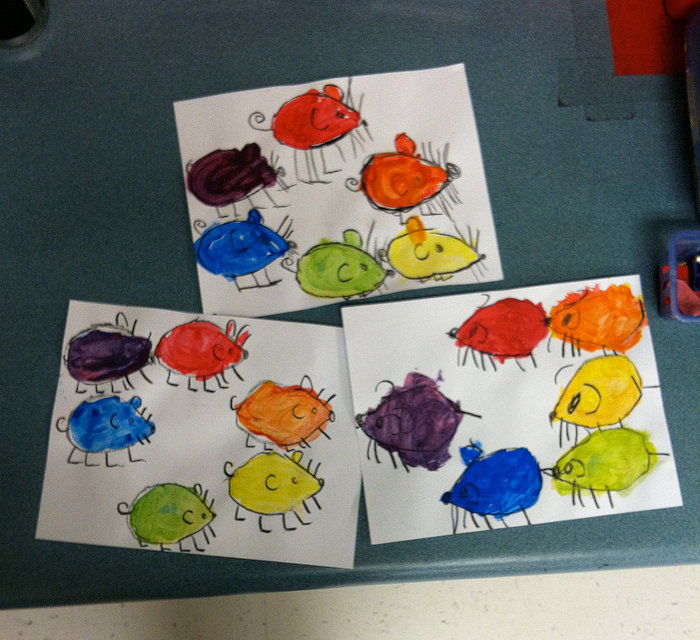 They also mixed colors for the first time and read the story Mouse Paint, so we made mice! 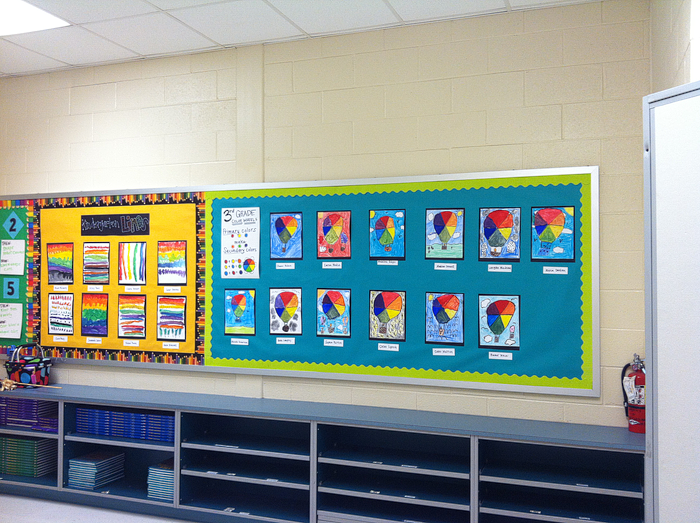 Another benefit to doing units like this is they make fun bulletin boards! 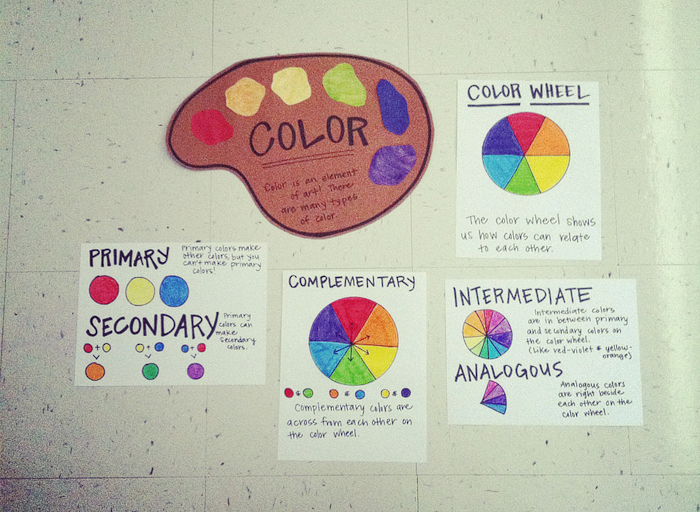 What great ideas on color wheel theory projects. 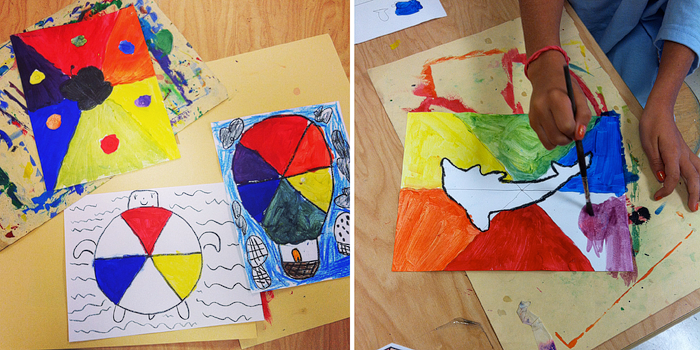 I'm an artist teaching art at a Chicago public elementary school where art instruction funding has been cut and I really love the ideas that you've posted on this blog!